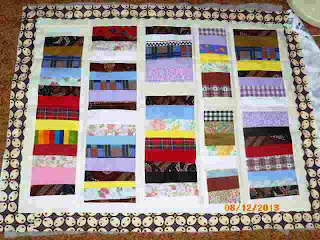 Patea PNG Quilt Collective: August 12. Two quilts by Gina. I've used a different technique with this quilt - the 'envelope technique', so it doesn't need binding. 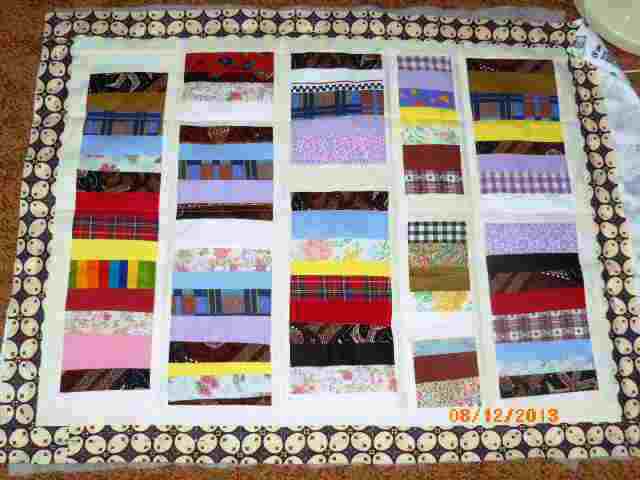 All I have to do is quilt it, and sew the last side up. 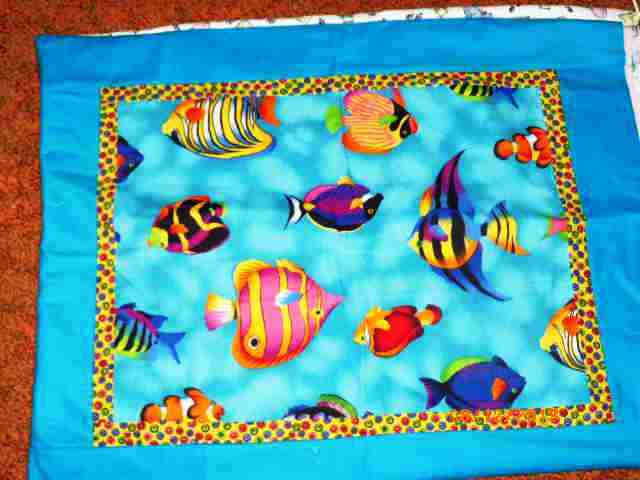 I love that fish fabric; it was an offcut from somewhere, maybe the opshop, I can't remember. But I knew I'd find a use for it one day!